With the emerging incorporation of spiritual care into the allied health stream, there is a need for a clear and validated process of spiritual review that can be understood across multidisciplinary teams. 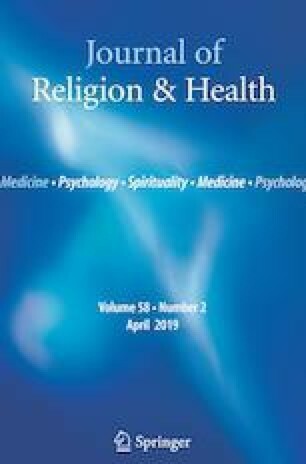 The aim and purpose of this paper was to critically review the literature regarding spiritual screening, history-taking and assessment, and explore the merits of developing a brief instrument focussed on assessing and improving the spiritual well-being of consumers within residential aged care. Following an exploratory review of the literature, the results indicate that effective processes are noted regarding the triage and identification of the needs and spiritual assessment of consumers; however, many of these tools are overly religious in content, unwieldy in size, or not specifically aimed at identifying the immediate crisis confronting the consumer. It is recommended that an assessment instrument be developed which is communicable across all allied health practitioners (including spiritual carers), which may contribute towards a taxonomy of common consumer conditions, and which will enable the development and delivery of more targeted care plans. Appreciation is acknowledged to Dr. Bruce Rumbold and Dr. Christa Carey-Sargeant (Palliative Care Unit, La Trobe University, Melbourne, Victoria, Australia) and the McKellar Centre, Barwon Health (Geelong, Victoria, Australia) for their assistance in completing this research. Ethics approval was not required, as this study did not involve any animal experimentation or human participants. Berger, E. (2015). Tools to help measure distress. Atlanta, GA: American Cancer Society. Retreived July 21, 2018 from https://www.cancer.org/treatment/treatmentsandsideeffects/emotionalsideeffects/distressinpeoplewithcancer/distress-in-people-with-cancer-tools-to-measure-distress. FACIT. (2007a). FACIT-Sp 12 Vs.4. Elmhurst, IL: FACIT.org. Retrieved April 21, 2018, from http://www.facit.org/FACITOrg/Questionnaires. FACIT. (2007b). FACIT-Sp Vs.4. Elmhurst, IL: FACIT.org. Retrieved April 21, 2018, fromhttp://www.facit.org/FACITOrg/Questionnaires. FACIT. (2007c). FACIT-Sp-Ex Vs.4. Elmhurst, IL: FACIT.org. Retrieved April 21, 2018, from http://www.facit.org/FACITOrg/Questionnaires. FACIT. (2010). FACIT-Sp 12 item non-illness Vs.4. Elmhurst, IL: FACIT.org. Retrieved April 21, 2018, from http://www.facit.org/FACITOrg/Questionnaires. Meaningful Ageing Australia. (2017). ConnecTo spiritual screening tool downloads. Melbourne: Meaningful Ageing. Retrieved April 7, 2018, from https://meaningfulageing.org.au/product/connecto-spiritual-screening-tool-downloads/.